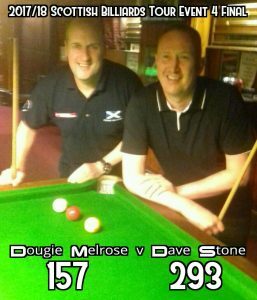 * Unfortunately Davie Sneddon retired unwell after 3rd group match. His points are void, opponents get the win. 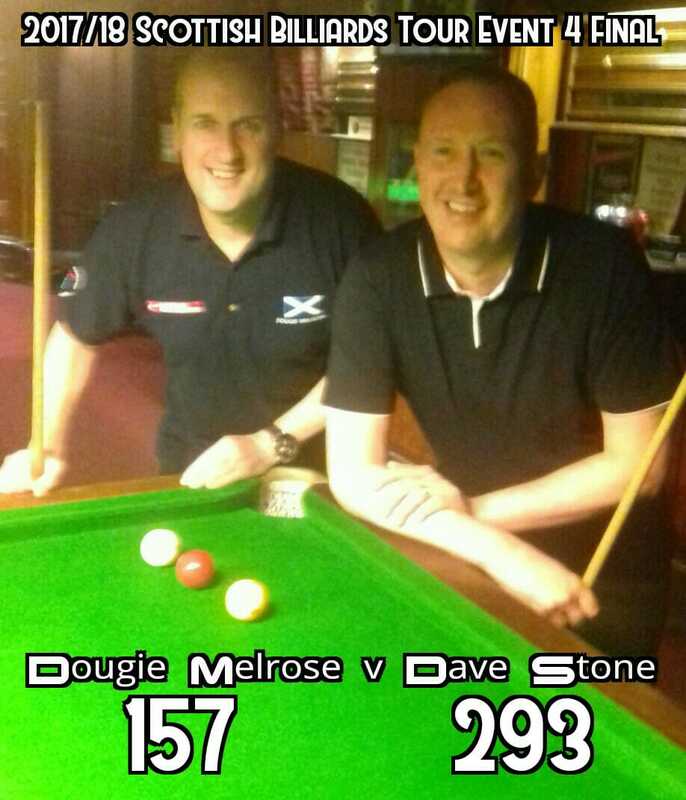 This entry was posted in Billiards, Billiards Tour, Billiards Tour Results 2017, Scottish Billiards, Scottish Billiards Events 2017 and tagged Billiards, Billiards Results, Billiards Tour 2017-18, Billiards Tour Event 4 by Robert Simpson. Bookmark the permalink.